An official pamphlet for Thunderbolt Fantasy: Sword of Life and Death, which has been showing in theatres since December 2, 2017. 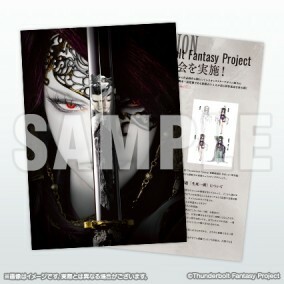 This pamphlet features the first full 6-page Thunderbolt Fantasy Project round-table discussion between Gen Urobuchi and character design artists Sinov Mimori, Satoru Minamoto, and Niθ, as well as commentary by Lin Setsu A voice actor Kohsuke Toriumi, Syou Fu Kan voice actor Junichi Suwabe, and Setsu Mu Syou voice actor Nobuyuki Hiyama. This booklet is packed with new information!